When it’s good, it’s good. Probably the best way to summarize Winter fly fishing trips on the Missouri River near Craig, MT. When the weather is good, boat ramps are good, and water temps are good, the fishing is good. One of my favorite stories to tell on the boat is of a great multi-day overnight trip myself and some friends had on the Missouri River. The streamer fishing was great, wind was mild, and the sunny skies kept a smile glued on to everyone’s face. And it was early January. The next week it was -20 degrees. Winter weather is fickle and the winter fly fishing on the Missouri River is no different. Trip plans can’t be hatched too far in advance but every once in awhile the fishing gods play along and let us get out on the 'Mo mid-winter. The streamer fishing and trout spey can be great with small flashy flies. Midge hatches can also happen on warmer, sunnier days bringing a fish or two up to rise. The nymphing with bright shiny flies (think pink), fished through deeper slower runs can also be effective this time of year. If the boat ramps are ice-free and the wind is down it can be game on. If your are in Bozeman, MT or Helena, MT in the winter and need a fly fishing fix, the Missouri River is one of your best options. 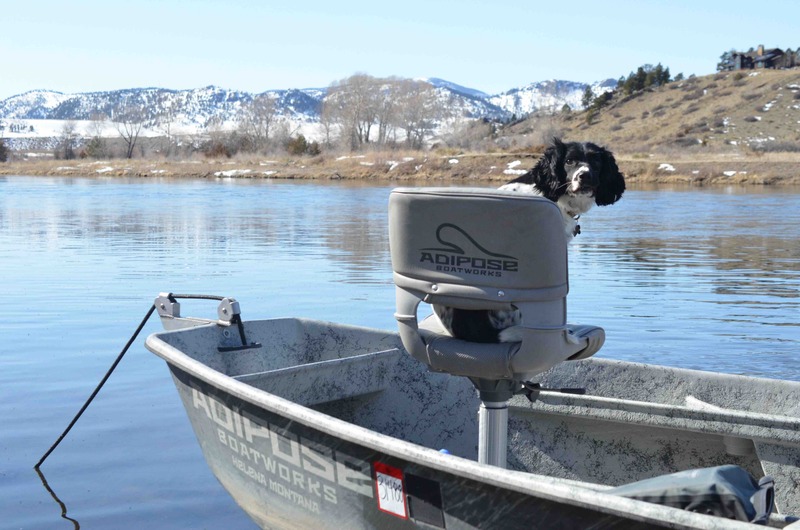 Our Missouri River fly fishing guides fish the river year-round and would be happy to take you out too. Check out our Winter/Spring Guide Trip Specials to learn more.